The project, entitled 'Geta Brătescu. The Studio: A Tireless, Ongoing Space', is set up by the Camden Arts Centre in association with Museum of Fine Arts, Ghent, with the support of Romanian Cultural Institute and the Geta Brătescu Exhibition Circle. 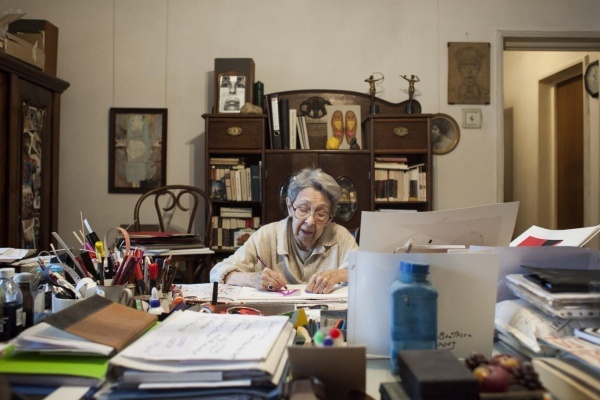 You can find out more about the ‘Geta Brătescu. The Studio: A Tireless, Ongoing Space’ exhibition and the associated events on the Camden Arts Centre website. Admission is free. Please confirm your attendance on Eventbrite.